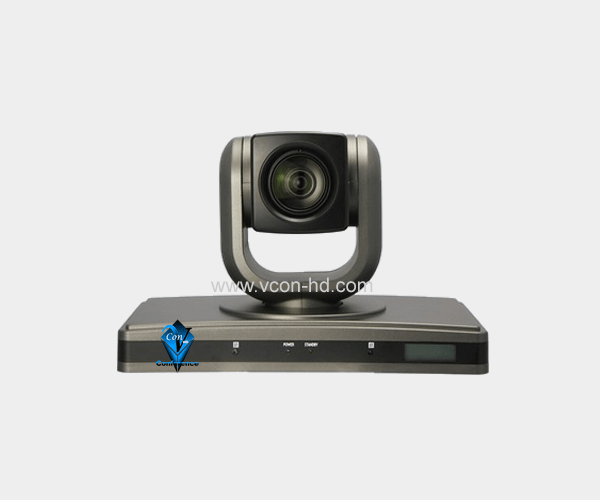 HD-820Unk : VCon-HD video conferencing Camera – USB PTZ Conference Camera widely used in Video Conferencing System, Recording and Broadcasting, conferencing System. Video conference telepresence systems offer the next best way to travel to bring together people who need to gather for a purpose. The HD-820Unk cameras in the telepresence systems offer high definition visuals and life size images that facilitate and enliven the standard videoconferencing experience. With this technology, organizations can hold real-time conversations. Meetings among people spread throughout several regions can describe detailed procedures, show charts and graphs, consult on questions and pretty much treat those you talk with hundreds or thousands of miles away as if everyone were in the same room. The telepresense systems and their digital video camera technology save travel time, expense as they create real-time conferences, consults and training programs. As it electronically converts real world images into digital views, the cameras discussed here perform three mechanical functions, they pan, tilt and zoom. Often a device that looks like a large mechanical glass eye mounted in a steel frame, the HD-820Unk PTZ camera performs those three functions to complete its task. It pans, or turns in a horizontal plane; it tilts up and down, and it can do this as it pans around the area it has in view; and the camera “zooms” or refocuses an image from one size to another from large to small and back again.